Please note we'll never pass on your details to any third parties. Remember to add @topclassrecipes to your email safe senders. * Denotes mandatory. If you already have an account Log in or forgotten details? Here you will find a fantastic selection of free recipes for you to search on, try out and review. Add your own recipes, build your own recipe book online and many more member benefits. Joining is incredibly quick and simple, and then you're ready to add recipes, store recipes and review recipes. See your recipes online and on Google! Full statistics on how your recipes are doing. You can search by ingredients, types of dish, course, region, difficulty and more. 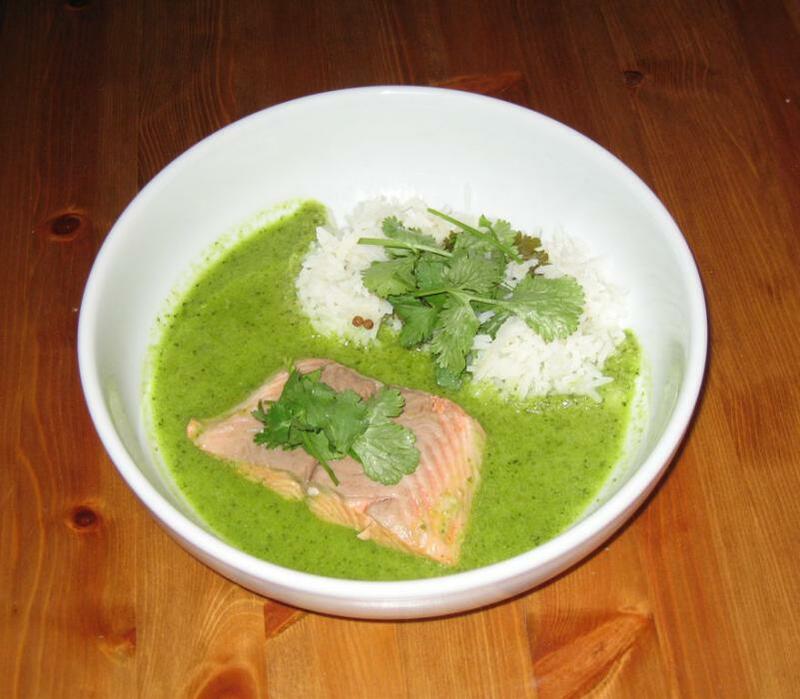 A fusion of trout (salmon or similar would work just as well), in a light Thai green curry broth. 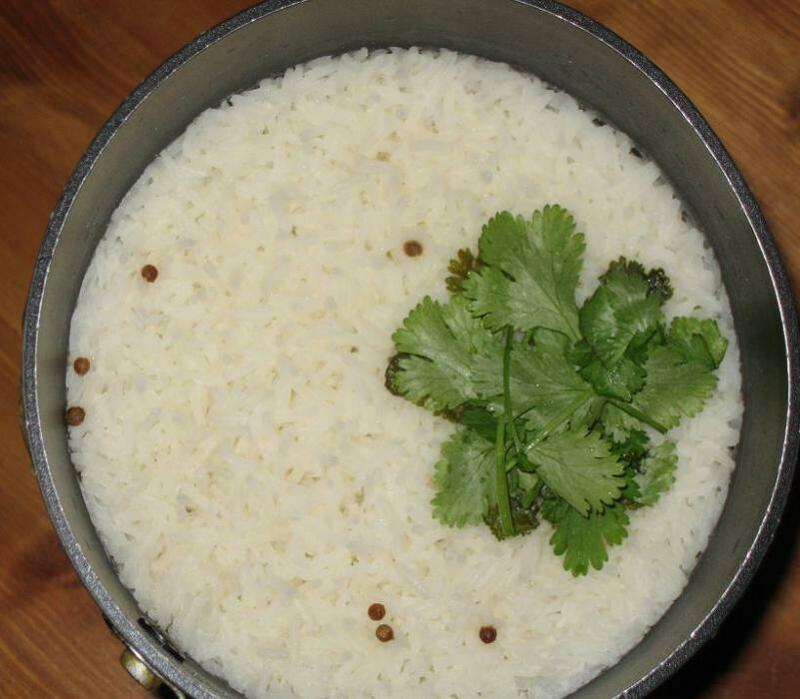 Serve with Thai rice or Thai coconut rice with Coriander (See notes for details). An indulgent layered chocolate tiramisu, with double cream, amaretto, coffee soaked vanilla cake, and grated chocolate. 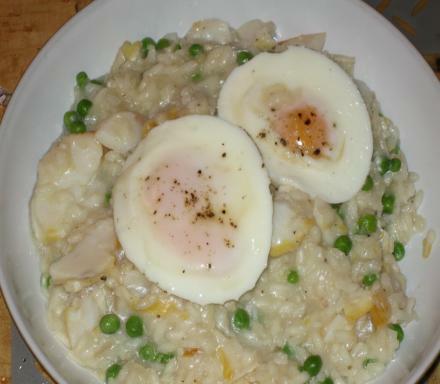 This is one of my favourite comfort food recipes, smoked haddock and pea risotto with poached eggs. The smoked sea salt add an extra dimension, and the eggs give a really unctuous finish. 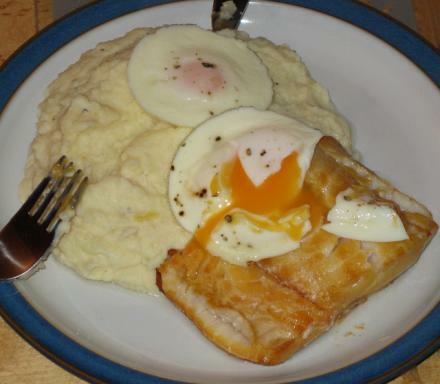 Smoked Cod with Horseradish mash and Poached Egg. 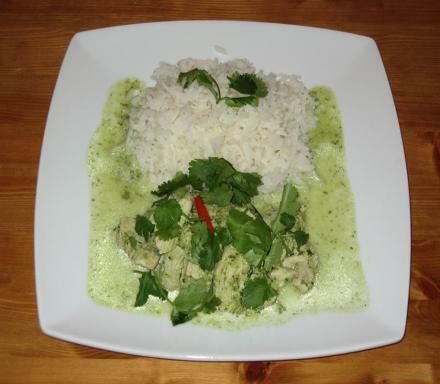 A delicious simple Thai green chicken curry using freshly home made curry paste. I like to add the red chillies in whole so they can be eaten by those wishing a hotter taste ! 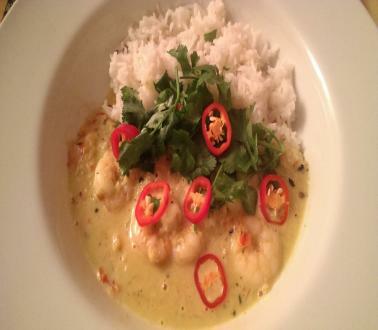 A simple and tasty Thai red prawn curry with homemade curry paste. The roasted chillies will give a smokey flavour to the dish. 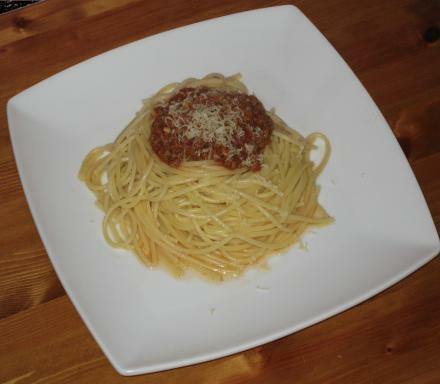 A simple, but delicious spaghetti bolognese. 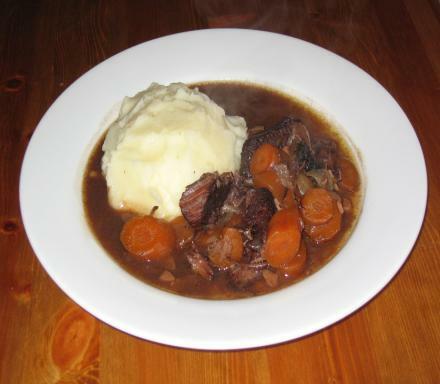 A recipe for beef braised in a red wine sauce, with horseradish mash. 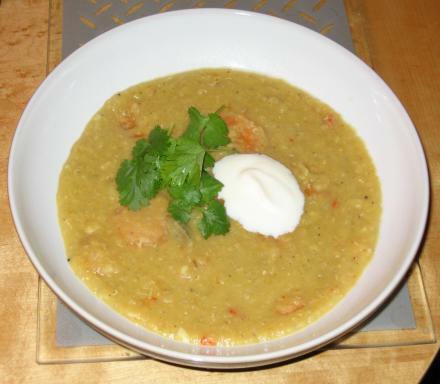 A thick, warming spicy Indian style lentil and carrot soup, great for a cold winter's evening. This will also freeze easily to be reheated another time. 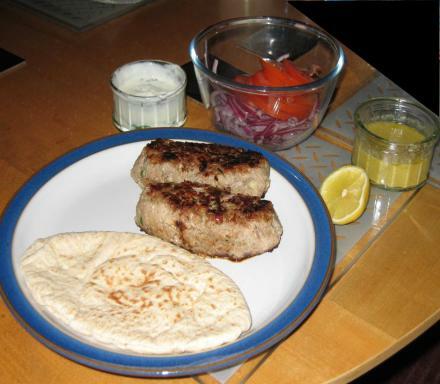 Spicy lamb koftas (kebabs), served with mint and coriander yogurt, tomato salad and pitta (or flat) bread. 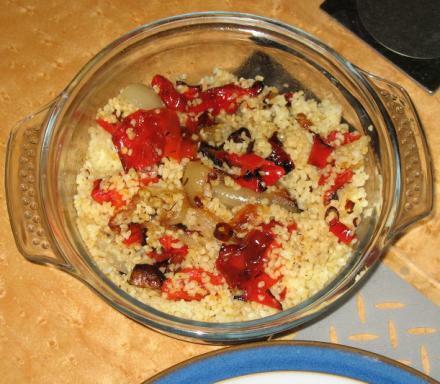 A healthy, but delicious recipe for spicy bulgur wheat with roasted sweet ramiro peppers, onions, garlic and chillies. This makes a great side for salmon, lamb, etc. 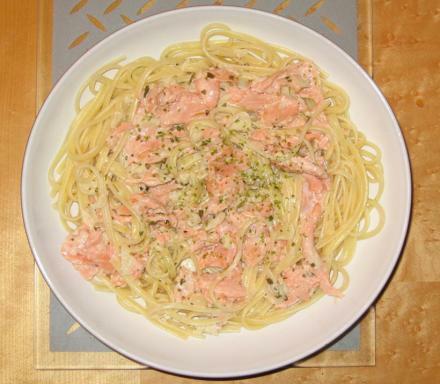 A delicious yet simple smoked salmon pasta dish with a tarragon and (optional) seaweed sauce. 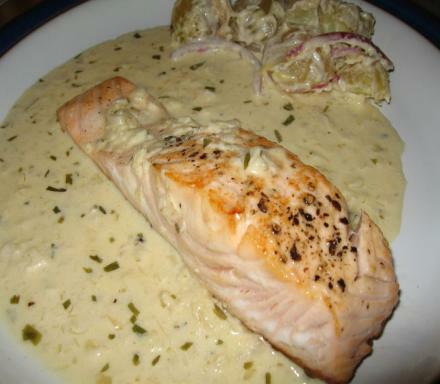 The seaweed, if you have it, gives a lovely extra seafood dimension to the dish raising it above the normal cream sauce. 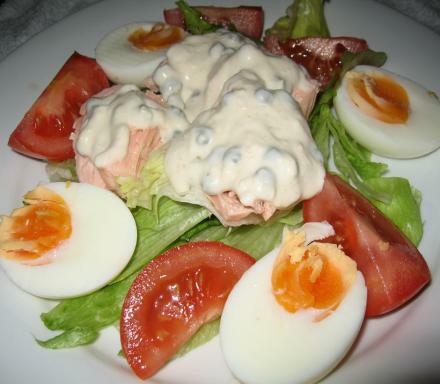 A salad of poached salmon with leaves, tomatoes and hard boiled eggs, with a horseradish and caper dressing. Panko crumbed smoked haddock fish cakes. One large or two small portions depending ! Great for using up leftover mashed potato. 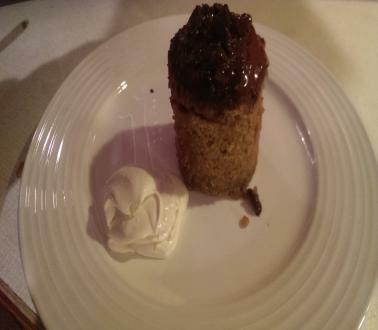 This is a quick and healthy version of the vanilla and jam sponge cake pudding. I use olive oil spread and much less sugar than most recipes and it still tastes great (the jam will add sweetness). 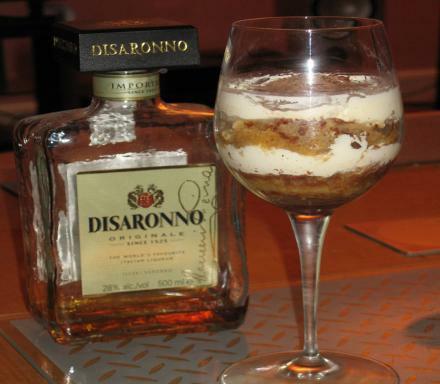 A coffee and Amaretto flavoured microwave mug cake with chocolate and Amaretto sauce. 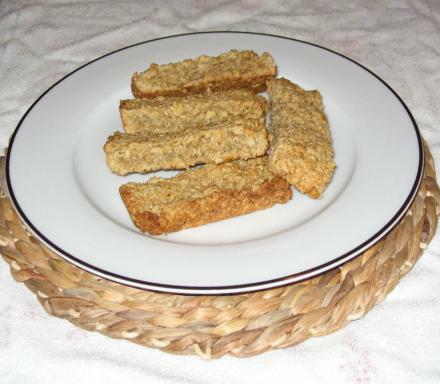 A slightly healthier version of the traditional British flapjack, using maple syrup, olive oil spread (I use Bertolli) and unrefined demerara sugar. 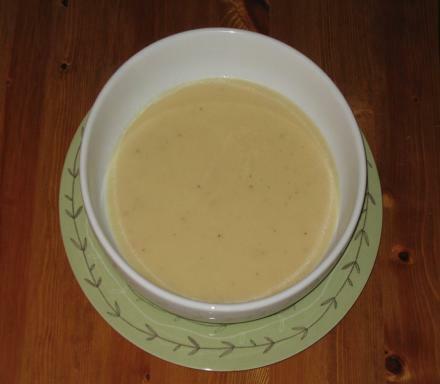 A healthy thick warming parsnip soup with plenty of heat from the added chillies and spices. 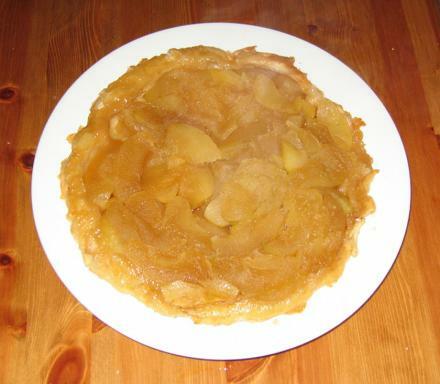 A healthy (by tarte tatin standards !) 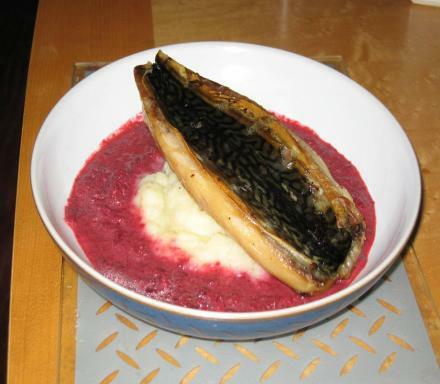 version of this classic dish, with considerably less sugar (and butter) than most recipes. Best served with ice cream or double cream. A healthy(ish!) 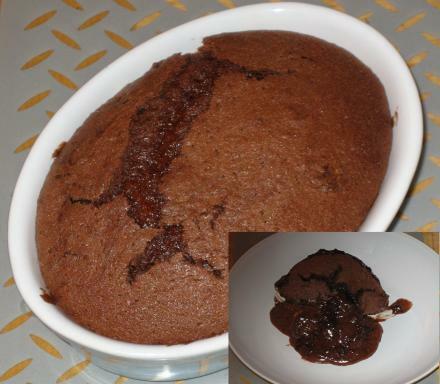 chocolate fondant cake with gooey center. 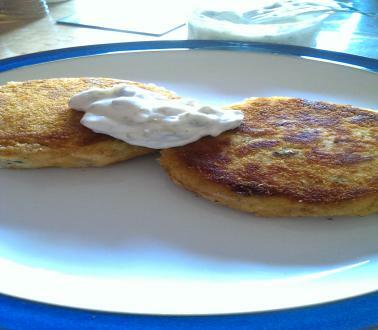 Quite healthy relatively due to the olive oil spread and unrefined cane sugar. Serve with vanilla ice cream or whipped cream for extra indulgence. 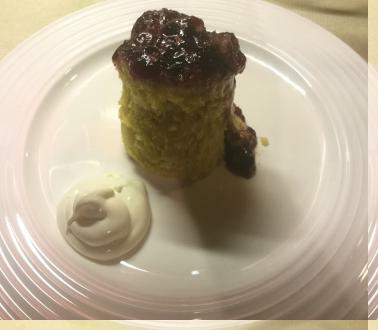 Copyright © 2012-2018 TopClassRecipes.com. All Rights Reserved. CERTAIN CONTENT THAT APPEARS ON THIS SITE COMES FROM AMAZON EU S.� r.l. THIS CONTENT IS PROVIDED 'AS IS' AND IS SUBJECT TO CHANGE OR REMOVAL AT ANY TIME.